The PST-3000-12 converts 12 Volts DC to 3000 Watts of pure sine-wave AC power at 120 Volts, 60 Hz. Samlex's high frequency switch-mode design provides clean and stable pure sine wave power. The 12 volt PST series inverters can withstand dc voltages of up to 16.5 volts which means that they are compatible with high voltage dc charging-such as solar charging and equalization charging. 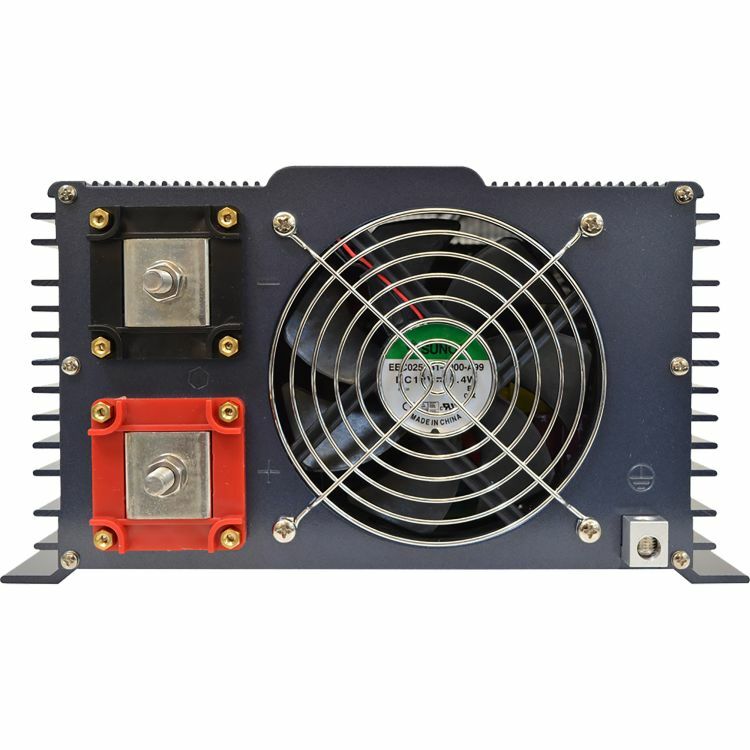 The PST-3000-12 has a tempature controlled fan for cooling, and has the following built in protections: input low voltage, input over voltage, over temperature, over load, short circuit. 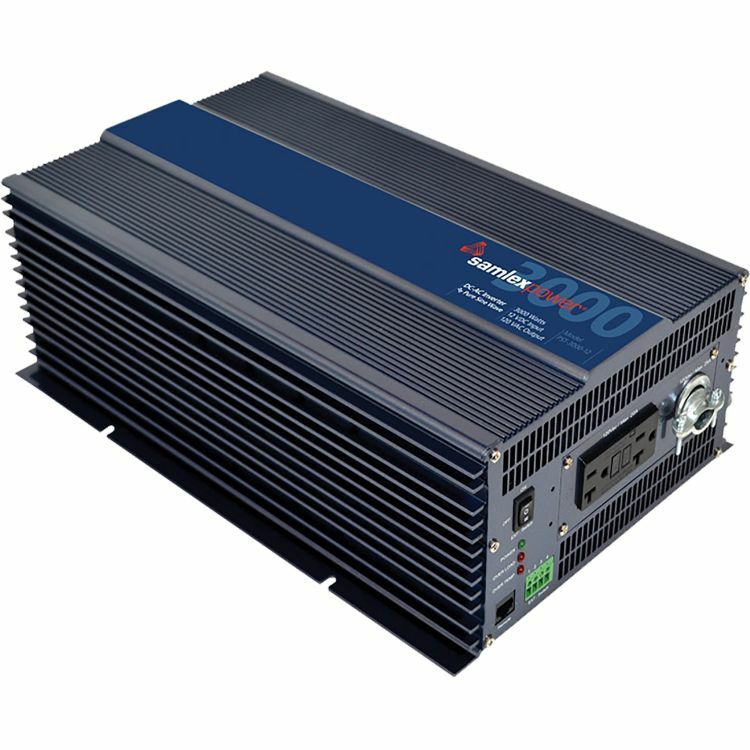 Samlex America offers superior quality Pure Sine Wave AC-DC power inverters for many different applications. BatteryStuff.com offers PURE SINE WAVE (aka true sine wave) that provides high-end specialty users power portability for sensitive electronic equipment. The clean power delivered by a Pure Sine Wave is of the same quality and efficiency as the power provided by your utility company, which is not the case with the cheaper and more popular modified sine inverters. Do you own the PST-3000-12? Please, tell us what you think about it. It helps us provide you with better products. Please note that it may take up to 72 hours for your review to appear.